​​Milan have endured a complicated succession of off-field difficulties since the arrival of owner Yonghong Li and the subsequent splurge of big spending transfer activity last summer. The issues have led to Li being forced out of the club as a result of ​failing to pay his debts, and the hierarchal turmoil at the San Siro could now lead to significant impact on the pitch. According to Gazzetta dello Sport, via ​Football Italia, Milan are having to now consider the sale of some of their prize player assets, namely captain ​Leonardo Bonucci. The famed Italian centre back arrived at I Rossoneri just last summer in a deal which created the biggest shockwaves as Bonucci arrived from domestic rivals ​Juventus. The reported £37.8m deal, according to ​transfermarkt, was a considerable outlay from a club who had not secured Champions League football for the season ahead prior to the deal, and once again failed to break into Europe’s elite competition for the upcoming campaign. Milan’s underachievement in both domestic and European football have failed to offset the hefty financial outlay from I Rossoneri, and it is now reported that Gennaro Gattuso’s side may have to suffer the loss of some key players to balance the books. Bonucci is clearly one of the most valuable at the club, and it is said that Milan would hope to at least recoup the fee that was paid to controversially lure the 31-year-old from Turin last summer. 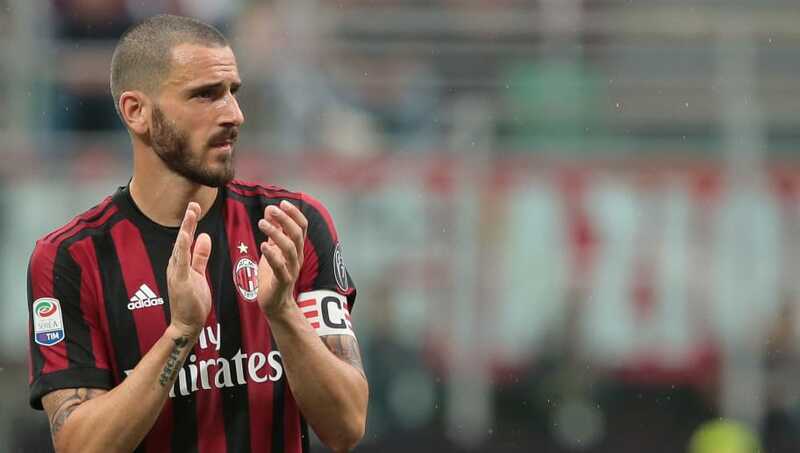 However, despite the apparent contemplation of their captain’s sale, it is also said that Milan would only consider Bonucci’s departure if the defender should personally ask the club to facilitate his departure. Milan would also demand a fee which at least allowed them to break even on Bonucci’s transfer to the club, and with Paris Saint-Germain and ​Manchester United said to be among the clubs interested in signing the Italian, it should not be too difficult to expect their financial demands to be met.